Most lawyers never even see the inside of the U.S. Supreme Court, much less stand in the courtroom and receive recognition from a Supreme Court justice. However, that is exactly what Hamilton County Circuit Court Judge W. Neil Thomas and attorney Ron Powers did recently on behalf of Chattanooga’s Justices Ray L. Brock Jr. – Robert E. Cooper American Inn of Court. Chattanooga attorney April Holland says she was horrified when she learned about the Gatlinburg fires that broke out on Monday, Nov. 28. She also felt helpless and wanted to lend a hand, but didn’t know how. 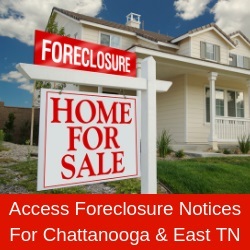 Through the collective efforts of the Tennessee Bar Association (TBA), the Tennessee Alliance for Legal Services (TALS), Legal Aid of East Tennessee (LAET) and the Tennessee Supreme Court’s Access to Justice Commission, every attorney in Tennessee can now provide legal assistance for victims of the fires. Painted in big, bold, Spanish script in a stairwell at Ceniza, these words welcome patrons to a destination unlike any other in the Chattanooga area. This potentially massive expansion of outsourcing comes much to the chagrin of United Campus Workers who’ve scoffed all along at Gov. Bill Haslam’s privatization efforts. Butch Jones has a lot more than Nebraska on his mind this bowl season. The fourth-year Tennessee football coach will spend the next several weeks evaluating his coaching staff and program and figuring out why the 2016 season went from so good to so bad. Attorney Martin Pierce, a certified estate planning specialist in Chattanooga, has been selected for inclusion as a 2016 Mid-South Super Lawyer in the areas of Estate Planning and Probate. Super Lawyers is a rating service of lawyers from more than 70 practice areas who have attained a high degree of peer recognition and professional achievement. Each year, no more than five percent of the lawyers are selected to receive this honor. The Chattanooga Bar Association is seeking nominations for the 24th recipient of the Ralph H. Kelley Humanitarian Award for community service. The award will be given to a member of the legal profession or a judicial officer who, in the opinion of the Board of Governors, has provided exemplary service to the community of Chattanooga through civic and professional activities directed toward the improvement and preservation of the lives, property and dignity of its citizens. In this parental relocation case, the trial court erred in finding that the mother did not have a reasonable purpose in relocating to another state for her employment. Furthermore, mother’s purpose in relocating was not vindictive. Therefore, the judgment of the trial court is reversed. Chattanooga Realtors brought the gift of song to Life Care Center of Red Bank last week during the seventh annual Holiday Nursing Home Visit. Agents with Keller Williams, Berkshire Hathaway, Signature Brokers and Remax Properties strolled the corridors of Life Care singing Christmas carols and talking with the residents. Note: This review uses a word many people find objectionable, and rightly so. However, I do not use it to offend but to illustrate a point about the movie. “Who is you?” one black man asks another near the end of “Moonlight,” a drama written and directed by Barry Jenkins and based on a story by Tarell Alvin McCraney. The season to be remodeling your kitchen? Homeowners across the country are beginning to open their doors for friends and family in celebration of wintertime traditions. Not coincidentally, it is during the holiday season that homeowners pay particularly close attention to necessary home improvements as they prepare to host their loved ones. Many homes in the Chattanooga area use natural gas as a main energy source. And like any energy source, it must be used correctly to be efficient and safe. Natural gas is a versatile fuel used to heat some homes, cook food, heat water, dry clothes and even start the fire in the fireplace. The “smell” you recognize as natural gas odor is added so you will know if there is a gas leak in your home. “Gilmore Girls,” a show that ran on the WB, and the CW, from 2000-2007, has been streaming on Netflix since July of this year. I like it. I like the fast-paced dialogue, the pop culture references and the less-burdened Lauren Graham. Netflix’s mini-series revival – “Gilmore Girls: A Year in the Life” – kicked off in late November.